Here's a bit of my story so you can understand why I write about design the way I do. When I quit studying electrical engineering in college to become a designer, I thought I’d spend the rest of my life broke. 14 years later, I’m earning 6 digits a year. I have my pick of projects and clients. I work remotely, from home. I’ve worked on glamorous projects and made awesome software, brands, books, and websites. I want to help you achieve success with design, whatever that means to you—whether it’s making money as a professional designer or adding design skill to complement your own profession. But, I believe success in design starts with your expectations. And your expectations about design are probably wrong—even if you’ve been doing it a while. That’s okay, because my expectations about design were wrong too. Here’s a little bit of my story. Before I decided to become a designer, I went to a tiny college you’ve never heard of in Oklahoma to study engineering. Nearing the end of the first year, I was miserable. Engineering wasn’t what I expected—I felt like I was learning to fix broken stuff instead of to create. I’d been playing guitar in a crappy rock band and tinkering with making a band website in my free time all freshman year. I was getting pretty good at the website part (even if our band couldn’t get the same people to show up to practice more than once). And I found writing Actionscript and HTML to be a lot more compelling than Calc 2 homework. I decided that I wanted my career to be making websites. I knew I’d be making less money, but the tradeoff would be worth it since I’d be happier. His shoulders slumped visibly. He signed the form to allow me to quit, and I left. He probably thought I was a complete idiot. Eventually, I think it was before my senior year, I realized that I wasn’t learning enough at school. The only real designs and websites I’d made were outside of classwork, and my upcoming classes didn’t look to be much better. The worst class of the bunch was, ironically, 2D Design. It was me and 15 bona fide art majors, most of whom knew their way around an art studio, and who looked at me like: “Why the hell are you here?” It was basically a “Hey, let’s all make mixed media art” course. Let’s rip pages out of old children’s books and glue them to mannequins. Let’s put a dead bird in a suitcase and call it art. Ugh. Can I roll my eyes any more emphatically? We learned nothing about design in that class. The entire semester, repeatedly, the 2D Design professor tried to convince me that a career in web design was not as worthy a pursuit as fine art and that I should switch to a major in the art department. I felt he treated me as an outsider and condescended the kind of work I aspired to do. I’m sure he meant well, but he came across as poorly informed about where the industry was headed—it was plain to see to anyone with an internet connection. The semester ended and I got a C in that class because I couldn’t draw or paint for anything. My art was horrible. It was the lowest grade of my entire school career. I know, not that bad, but I was a huge nerd and cared a lot about grades. It was a big change from acing engineering classes. My silly experiments with my rock band website had led me to begin following the Flash community (hey, it was really cool stuff at the time) on sites like Flashkit and Ultrashock. I’d picked up some programming chops, but I realized to make websites that even came close to measuring up to the professional work on those sites that I admired so much—and to get hired when I graduated—I’d need to learn more. I bought a ~1000 page programming book, ‘Essential Actionscript 2.0’ by Colin Moock, and read the whole thing in 1 weekend. I spent the rest of my summer building Flash websites, when I wasn’t working a part time job in a call center. I taught myself all the basics of programming: variables, loops, functions, and even some Object-Oriented Programming. Over those months my Flash projects changed from timeline animations to single-frame interactive projects with hundreds of lines of code. I discovered that I excelled at walking the line between technical and creative. My senior year, close to graduation, I beat out all the art majors for a coveted and rare full-time gig at a local ad agency. OKC is a college town with several universities, one of them very large, and there were lots of other design grads but very few entry level jobs. How I got hired is an interesting story and I’ll share it another time. But the short version is that the agency hired me because I had real work in my portfolio, not self-indulgent art projects. Word spread through my tiny college quickly, and that 2D Design professor made a snide comment to me about how my lowly mass-comm-major-self stole one of the jobs that should have gone to an art major, just days before graduation. I beat out his “real art majors” with my programming chops. Self taught. And the rest of my career went exactly the same way. I’m sharing this story with you because it shows that most people’s expectations of what it’s like to become a designer are wrong. When I was a college kid, I chose design because I liked it. I thought I was giving up the potential to earn a high salary. We designers don’t have a reputation of making a lot of money, especially compared to engineers. Designers also apparently count as ‘creative types’. Because of that, most people think that all designers are accomplished visual artists. 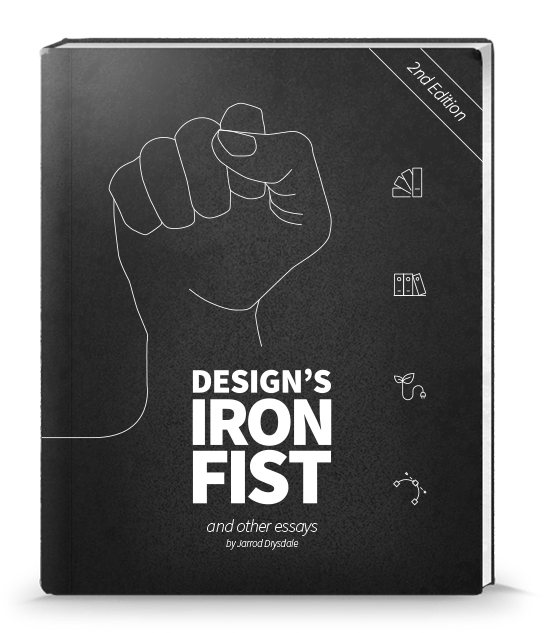 Now, you and I know these stereotypes about designers are wrong. I’m living proof. Being a designer has nothing to do with being a creative genius. I’ve built a successful design career on technical skill. My ability to code landed me not just that first job right out of college, but every single full-time design gig I’ve ever had. I couldn’t draw a nice piece of art to save my life, but I design awesome, creative, and beautiful websites. I’ve coded movie websites, stock trading tools, ads, and websites seen and used by hundreds of millions of people. And, since I could code them, I also got to design them. Being a designer can also earn you a great income. We aren’t all starving artists. I know designers who make double and even triple what I do. No joke. Later in my career, I was able to build a thriving consulting business, again, because of skills that have nothing to do with design. Sure, I’m good at design. I’ve devoted many late nights and long hours to practice and my skill is hard-earned. But my clients hire me because I get them results. I offer much more than aesthetics; I’m a problem solver, strategist, and partner. Making pretty things is only a small part of a designer’s work. Most of it is problem solving. You have to be the one who shows up and tackles the nightmare interface no one else wanted to solve. You learn the skill you need to get the job done right. That’s how you get hired early on, and later, how you get paid well. If you’re willing to do that hard work, you can make a lot of money as a designer. If you don’t want to be a designer, you can still use that ethic to do some pretty mind-blowing stuff. Since design is mostly problem solving, anyone can learn to design. The best designers I know use critical thinking and problem solving more than their creativity. For most people, learning to design simply means applying your critical thinking skills to a different set of challenges, and learning to use a few new tools. That’s it. You don’t need to become a different person or unlock your creative soul. Just think and work. Pow! You’re a designer. If you are an experienced designer and think your only value is creativity, you are limiting your success and your income. If you are interested in learning design and believe that entails communing with some mystical spirit of creativity, you’ve been misled. These experiences are why I write a little differently about design from what you might be used to. I don’t write “Best Design Trends” posts, because that stuff is garbage to a serious, practicing designer. I respect you more than that, and I know you are capable of doing more than following trends. Stick with me, and together, we’ll tackle the hard work of design. We’ll have some fun and make some cool things. And we’ll make all those people who told you that you couldn’t do it—just like those snobby art majors from my tiny college in Oklahoma—or everyone who told you programmers that you aren’t creative—or all those art directors who told you designers that your work wasn’t up to snuff—think twice.